Dad reads “Pain” to Gerry during one of their reading practice sessions. It has a very special meaning to Dad. Later he reads “My Life Closed Twice” to his students, but they can’t understand the very short and powerful poem the way he can. 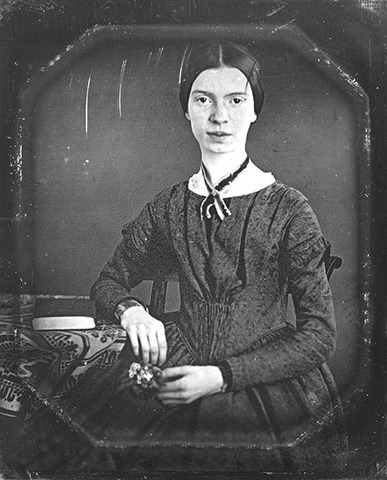 Emily Dickinson was born in 1830 in Amherst, Massachusetts. She led a very secluded life, publishing her work mostly by sharing it personally with friends. In time she came to avoid people and actually stayed inside during her father’s funeral. When she died, her sister Lavinia discovered a trunk full of her poems.